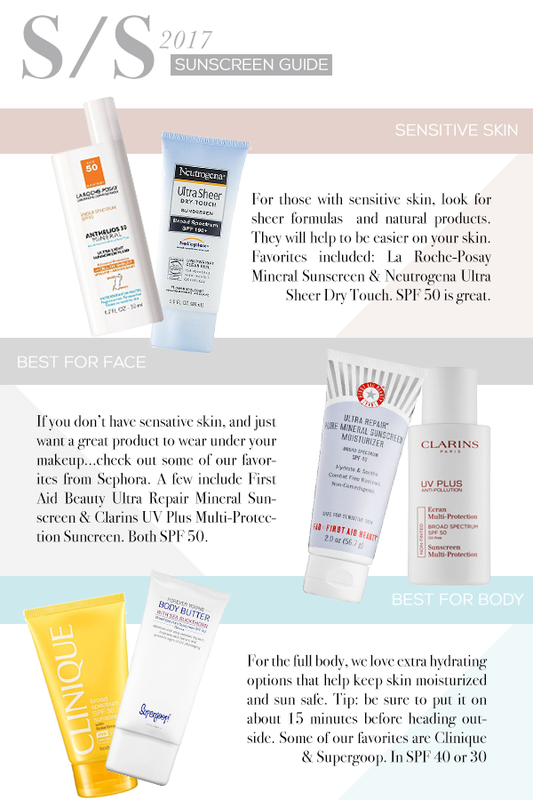 Sunscreen is important all year round, but especially during the summer months. In this post we’ve rounded up some of our favorites for different skin types and purposes. Whether you need a sensitive option to keep breakouts at bay, a great pre-makeup formula, or a full body option we’ve got you covered! Be sure to leave us your favorite picks below.